Get your paper craft on this Easter! With the arts and crafts market growing in popularity, the extended Easter weekend is the perfect time to embrace your creative whims and get crafty. Here are three paper craft hobbies to get you folding and cutting away in-between nibbling those chocolate eggs! An everlasting option for floral fans out there, there are so many different ways to make paper flowers because there are so many types of blooms. We’re big fans of downloading a flower PDF template, printing it out and laying it on top of folded tissue paper to trace lightly around. Cut on the lines to create the flower. Rotate the layers of tissue paper slightly each so they’re staggered out to create a fanned out, petal look. 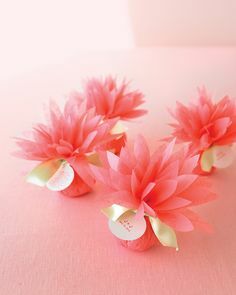 Place a gift in the middle of the paper (some actual flower seeds would be a nice touch, or you could pop in a mini soap, or a tasty treat – the choice is yours) and wrap the tissue paper around the centerpiece, tying with a bow. Finish with a mini card or sticker with a message to the gift receiver. Our envelopes and envelope liners are rather lovely, but for naughty Easter treats a homemade paper envelope will impress recipients and adds to that crafty vibe. It’s so easy as well – if you’re making a batch of delicious choc chip cookies, you can present them by wrapping them individually in 20x20cm tissue paper. Simply fold the corners of the paper around the cookie, and pop a sticker by us to seal the little parcel. Let’s hope for good weather to hang these decorative lanterns in our gardens over the weekend! 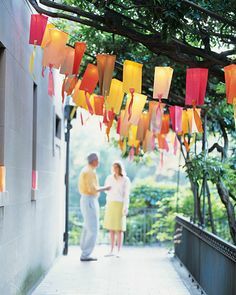 All you need is some paper bags, some outdoor lights and crafty know-how! Slit the bag around the top on both sides, and feed through a length of ribbon and knot. Cut a small X in middle of the bottom and feed a bulb of the string lights into the bag – pop some tape on to secure it inside the bag. Continue the process with all the bags until full. Check out this easy tutorial for more detailed steps and safety tips – don’t leave the lights on by themselves and for extended time periods! There’s not just crafting to do over the Easter bank holiday! 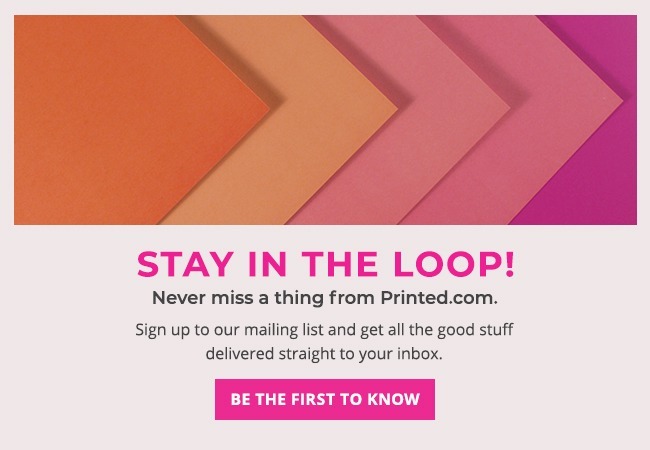 Laser Cutting will make your designs really stand out from the crowd so if you’re after a print showstopper, then give your invites a makeover, create postcards with panache and glam up greeting cards. “I’ve always loved being able to tell a story through design. I saw the laser cutting competition advertised and was excited about the new service. As I’d never had a go at producing a laser cut design before I thought it would be a good challenge for me. I decided to design a laser cut quote, ‘I love you to the moon and back’, as this is what my seven-year-old son says to me. I was really happy with my end design and both my son and I were really chuffed to have won the competition! Wow this laser cut postcard is beautiful! Congrats to Jess, amazing lazer cut design – must have taken ages to work it all out but the result is fantastic! The food envelopes are so cute! 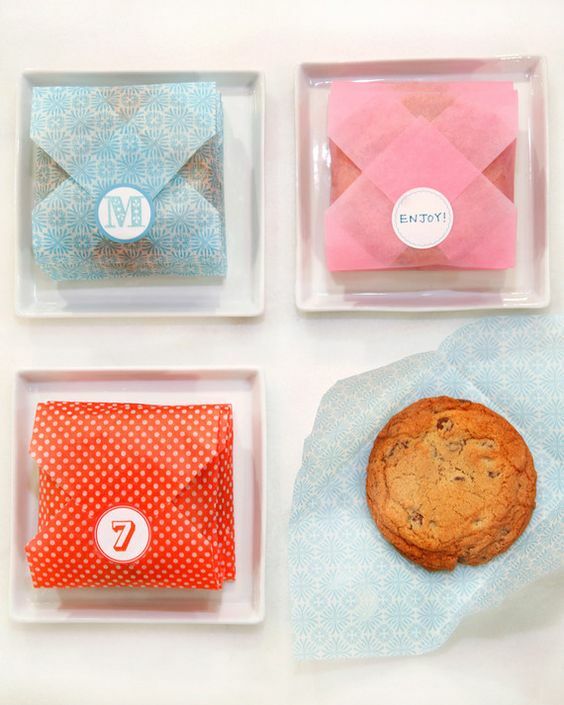 Those paper food envelopes are just too cute! I love the stickers I got from you. I put them on my gift boxes which make them just that little bit more professional!